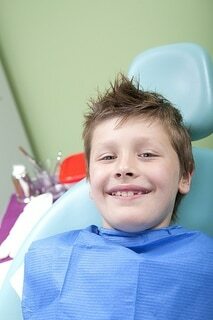 Many developing orthodontic problems can be intercepted and corrected if diagnosed and treated at an early age. Dr. Rajasekaran and our team at Liberty Orthodontic Centre recommend children have their first orthodontic evaluation no later than age seven, or younger if the front four permanent teeth have replaced the baby teeth. Early treatment, also known as interceptive treatment or Phase I treatment, provides both timely detection of problems and greater opportunity for more effective treatment. Early intervention guides growth and development, preventing serious problems later. Early intervention will greatly reduce the severity of your child’s case, and therefore reduce the length of treatment time and cost for a second phase of treatment when all of his or her permanent teeth have erupted. 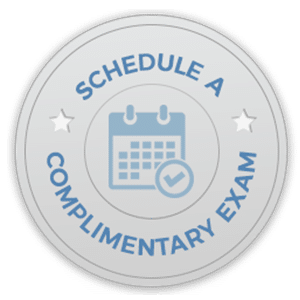 An evaluation at our Markham, ON office will determine if your child’s dental and skeletal growth is proceeding properly or if interceptive treatment is needed. Many times, a more severe problem can be corrected using sophisticated removable appliances instead of traditional orthodontic treatment. To schedule a consultation for your child to visit with Dr. Rajasekaran, please give us a call! We will provide your child with an initial exam, and discuss with you the best steps to take toward caring for your child’s smile.